The Assassin’s Creed series has been running for eight years, and that kind of longevity doesn’t happen without taking a few risks. To combat fatigue, each entry attempts to punctuate the familiar with new elements. Not all of these experiments pay off, but successful ideas might get folded into the core formula. 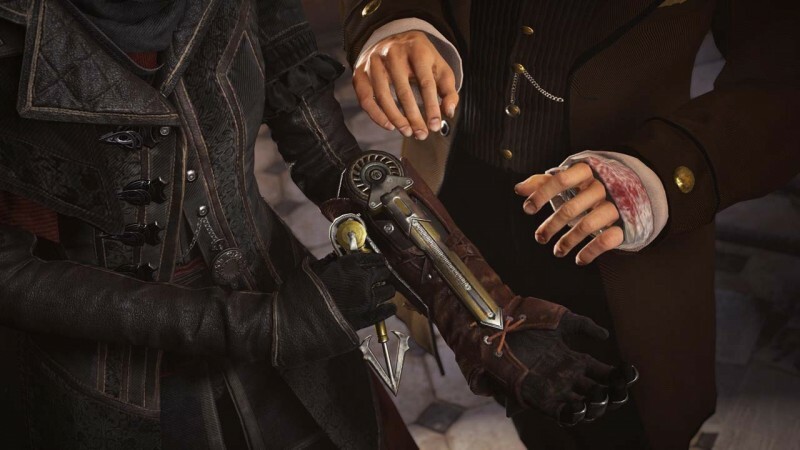 Assassin’s Creed Syndicate is the result of this process at its best; it removes outdated mechanics, refines the best concepts from other installments, and still makes its own contributions to the series’ evolution. It can’t be everything to every fan, but Syndicate is the most fun I’ve had with an Assassin’s Creed title since Brotherhood. For the first time since Ezio, I’d like to see the story of these heroes continue in future installments. 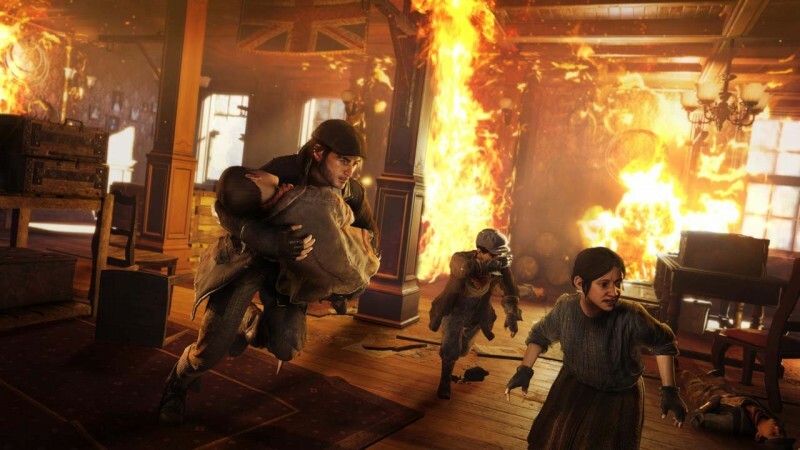 Evie and Jacob Frye star as twin Assassins who attempt to retake London from the Templars in 1868. As the heads of a street gang called The Rooks, the twins hunt down the kingpin Starrick, eliminating his lieutenants along the way. The narrative is straightforward, but I enjoyed how it addresses the consequences of your actions; the void left by killing powerful people in a major cultural center can be just as dangerous as leaving them in control. During all of this, Evie and Jacob don’t stray far from their archetypical personas. She is a calculating professional, and he is a brash rogue. Though their clashing natures often produce predictable interactions, they are both confident, capable, and entertaining. You can play as either Frye as you explore the city, switching between them freely. 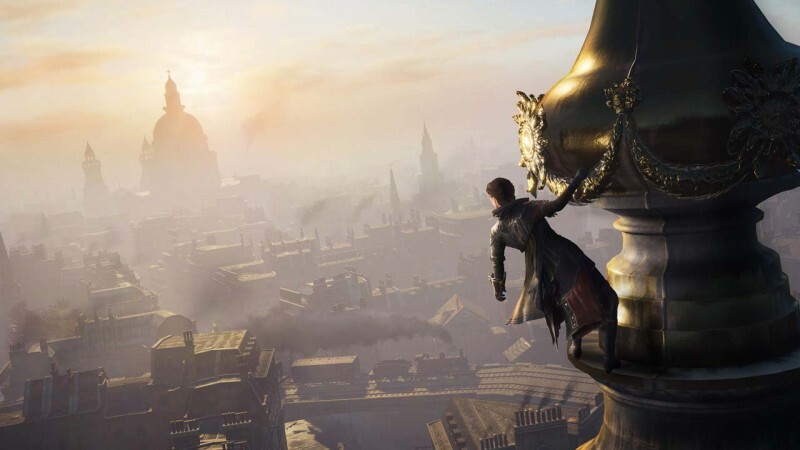 Jacob and Evie have their own tailored story missions, but the bulk of the open-world activities can be completed as either one. Using two protagonists works surprisingly well, since they share important resources like money and experience. Anything useful you gain as one sibling can be used by the other. I conquered practically every corner of London as Evie, but switched to Jacob for fight clubs and races. 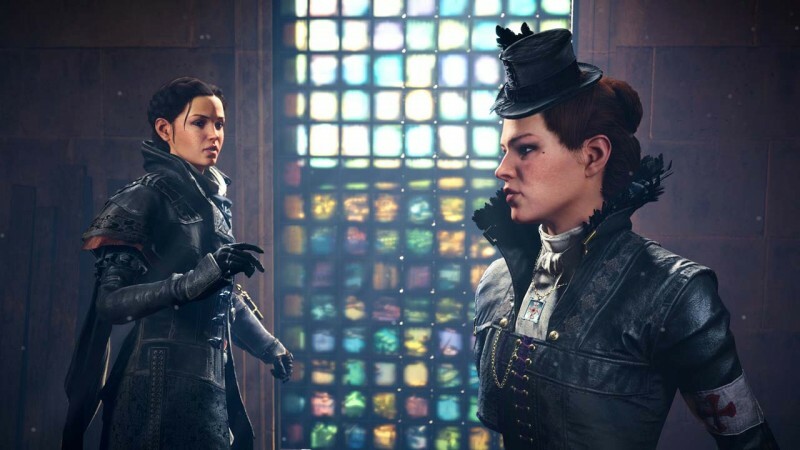 Evie is the more likable of the pair; her measured demeanor and preference for stealth lines up better with my perception of an Assassin, especially compared to Jacob’s more violent and impulse-driven philosophy. Despite their defined narrative roles, Jacob can still sneak and Evie can still fight, though their aptitudes are based on how you develop them. The progression system has improved significantly since Unity, surprisingly borrowing from traditional RPG mechanics. Whether you’re doing missions for the ridiculous parade of historical figures or pursuing the array of collectibles, your activities result in a steady flow money, materials, and experience, which you funnel back into your characters and gang. The process seems daunting initially, but it’s not too complicated. You do the missions and activities that look interesting, earn experience, then spend your skill points on new abilities (which feel like upgrades, not just skills you should have had from the start). Buying skills also results in gaining levels, and higher levels mean you can equip more powerful gear. This satisfying gameplay loop surrounding your gradual ascent conveys a sense of growing power and influence, and ensures that no time you spend playing Syndicate is wasted. My favorite missions are the main assassinations, which combine freeform infiltration with some guided setpiece moments to set up unique and gruesome kills that I won’t spoil. I was also drawn to the London conquest activities, which allow you take back sections of the city. For optimizers like me, establishing a solid power base early on can give you a leg up on resources and skill points. I got obsessed and conquered several one after the other, but repeating the same few mission types for too long gets old (especially the kidnapping missions, which don’t work particularly well). When I needed a break, I moved on to completing story missions, unlocking viewpoints, or picking hopeless fights just to see if I could win. The Fryes seem to have trained more in Ezio’s school of combat than any other Assassin. Though your success in a fight is still dependent on your ability to counter incoming attacks and break guards, Syndicate lets you go back on the offensive. The fast and responsive combat often has you taking down groups of three or more assailants and setting up multi-kill maneuvers, making the Fryes feel like the elite warriors they are (though the enemies’ “one-at-a-time” approach to attacking doesn’t help). Just be sure you don’t wander into a high-level zone, since even a small disparity can spell big trouble for you. Thankfully, Evie and Jacob eventually reach a point where even impossible odds aren’t a deterrent. Late in the game, I walked straight into Buckingham Palace, took down about a dozen royal guards, stole some rare materials from locked chests, and walked right out again with a trail of bodies behind me. Moments like these feel great because you earn them, spending time avoiding strong foes until you get the nerve and skill to take them on. Franchise fans should notice plenty of other returning ideas in improved forms. Retaking the city piece-by-piece recalls the thrill of reclaiming Rome in Brotherhood. Crafting new equipment and upgrades borrows from Black Flag’s system. Even Unity’s Helix Rifts, which open playable sequences in different eras, have been adapted for one surprising section. Syndicate’s only stumble in implementing a series staple is your personal base – a train. Apart from a handful of connected missions, you can’t buy any upgrades or do anything compelling with your headquarters. Plus, it moves around constantly – a cool touch, but one that makes hunting for it on the map a hassle. Though your rail-based headquarters falls short, the narrative’s emphasis on trains, engines, and other technological advances support the overall atmosphere well. The Victorian-era setting is among the series’ most mesmerizing and evocative, with grimy chimneys billowing smoke, people belting out songs in pubs, and ships moving back and forth across the crowded Thames. Horse-drawn carriages help you trek across Syndicate’s massive version of London – like a Victorian version of Grand Theft Auto, except with clunky and uncooperative cars. The underwhelming carriages would be a bigger problem if not for another new form of transportation: the zipline. Like Batman’s grapnel gun, this fantastic tool lets you climb buildings and cross gaps with ease, removing the need to shimmy around looking for windowsills and ledges. It keeps traversal fun but makes it less fussy and tedious; after using the zipline to ascend Big Ben in seconds, I can’t imagine going back. 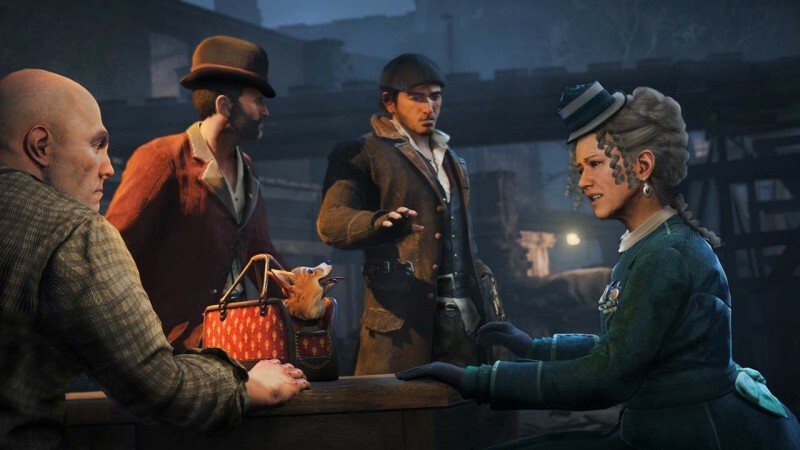 The present-day storyline returns in Syndicate, but it doesn’t go anywhere. It lacks focus and direction, which has been the case since Assassin’s Creed III. You won’t even recognize the characters involved unless you are into the expanded fiction of the Assassin’s Creed universe (with a couple pleasant exceptions). Thankfully, this muddled content is rare and brief, so it doesn’t distract from what Syndicate does well. 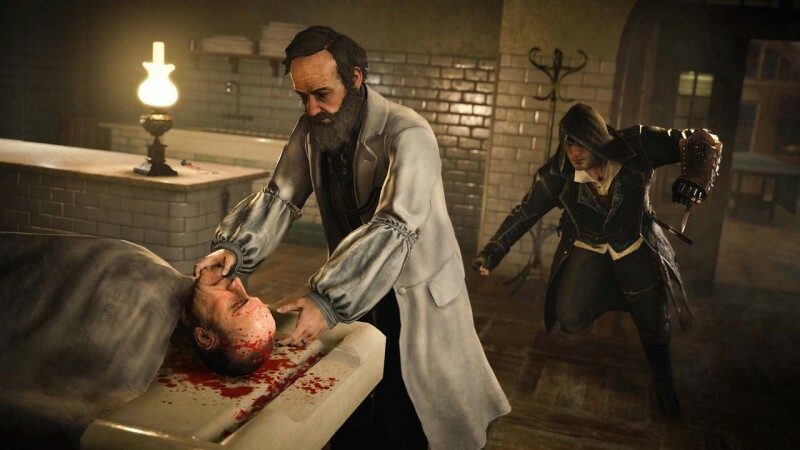 After the troubled (to put it politely) launch of Unity, some gamers might be cautious about their enthusiasm for Syndicate. I was too, but the team leading development at Ubisoft Quebec decisively addressed the major gameplay problems from Unity. The lock-picking minigames are gone, the leveling system is rewarding, the combat is enjoyable, and the gross ties to exterior companion content are no more. Even co-op is absent, leaving a purely single-player experience. I can’t say that Syndicate is glitch-free, but its technical anomalies (A.I. issues, stalled objectives, wonky collision) are in the same tier that fans have seen since the series’ inception. That doesn’t make them less annoying, but outside of an occasional cutscene or checkpoint, they don’t mar the experience significantly. 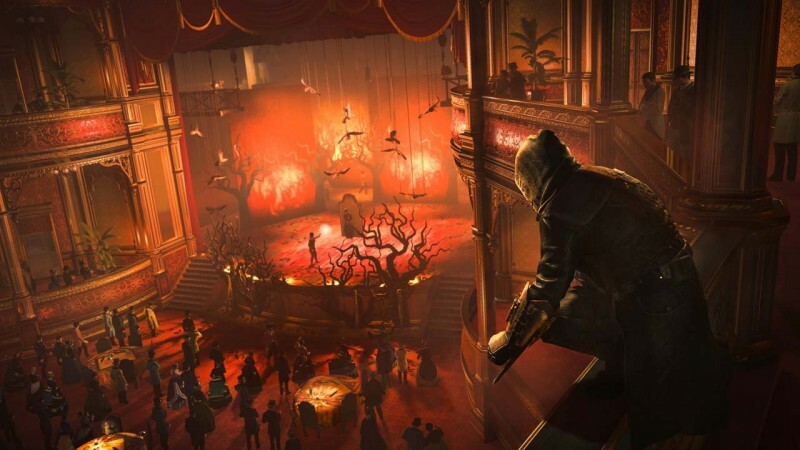 For all of the familiar parts of Syndicate, it still feels inventive. It may draw inspiration from previous installments, but features like the zipline and revamped progression system demonstrate a willingness to cut stagnant elements loose. 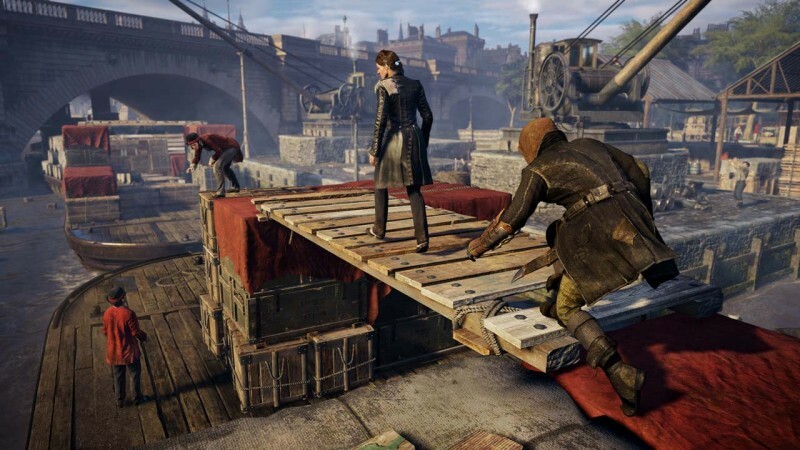 With a cool setting, memorable characters, and a wealth of content, Assassin’s Creed Syndicate has all of the hallmarks of a great Assassin’s Creed entry – but it also surprised me by challenging what I previously thought a great entry should be. This review pertains to the PlayStation 4 version. The game is also available on Xbox One, and a PC release is scheduled for November 19. 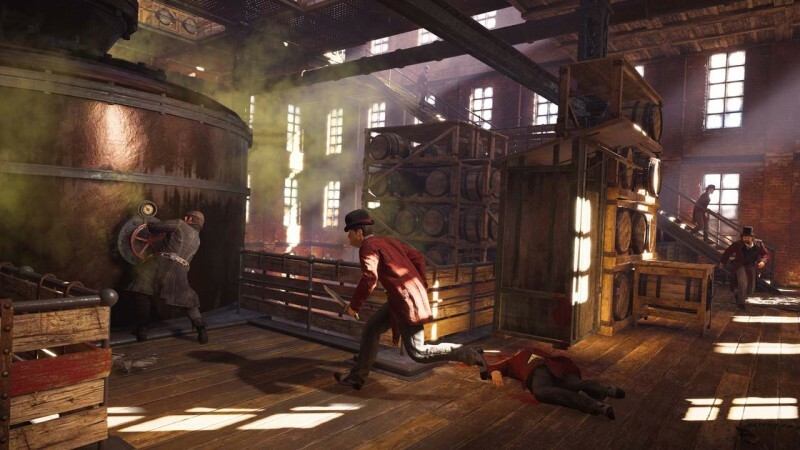 Syndicate has all of the hallmarks of a great Assassin’s Creed entry.